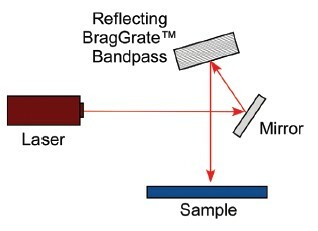 BragGrate™ Bandpass Filter is a reflecting Bragg grating (RBG) recorded in a bulk of photosensitive silicate glass. 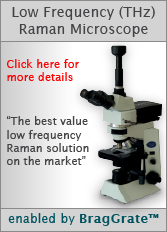 These filters are used to clean up laser spectral noise with a bandwidth as narrow as 50 pm in visible and near IR regions. 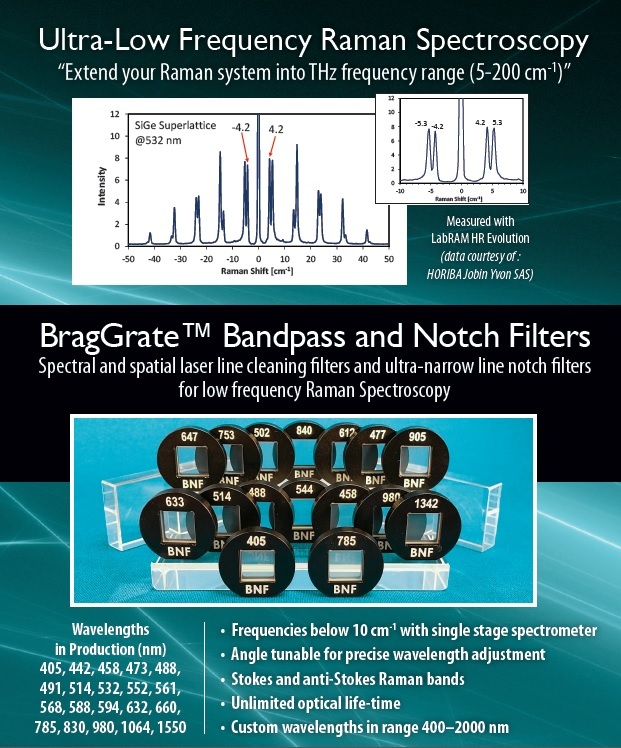 In Raman spectroscopy applications, combining these Filters with matching BragGrate™ Notch Filters enables Raman shift measurements down to 5 cm-1 from the laser line. 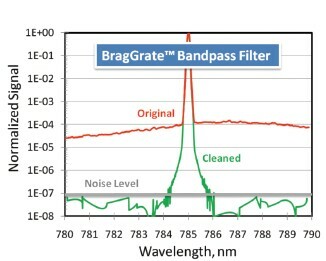 The widely used BragGrate™ filters have superior environmental stability and can handle high power optical radiation and high operations temperatures.